Having a down year and expect next year to be better? Bill ASAP. "If your expectation is that you will be in a higher bracket for 2013 than you will be for 2012, try to accelerate income payments for 2013 into 2012," says Larchmont, N.Y.-based attorney Julian Block, author of "Julian Block's Easy Tax Tips for Writers, Photographer and Other Freelancers." That said, if you're too late and need to catch up on your billing at the beginning of 2013, you'll have the benefit of paying the taxes due on those checks in 2014. This is particularly helpful if you expect to be in a lower tax bracket next year or simply want to lower your tax bill for this April. Need a new computer? Going to sign up for a conference? Do it now, and deduct these expenses in April. "If you're paying for something by check, as long as it's in the mail by the 31, it's a deduction for 2012. If you use a credit card, it's a deduction for 2012 even though the credit card statement doesn't reach you until 2013," says Block. Since your employers aren't witholding taxes you should be making estimated payments, the last of which is due Jan. 15. "Be sure that you've paid enough in estimated taxes to avoid a penalty. Generally, you would need to pay at least 90 percent of your current year tax liability (or 100 percent of your 2011 tax liability) to avoid underpayment penalties when you file your tax return," says Teresa Clark, spokesperson for H&R Block. 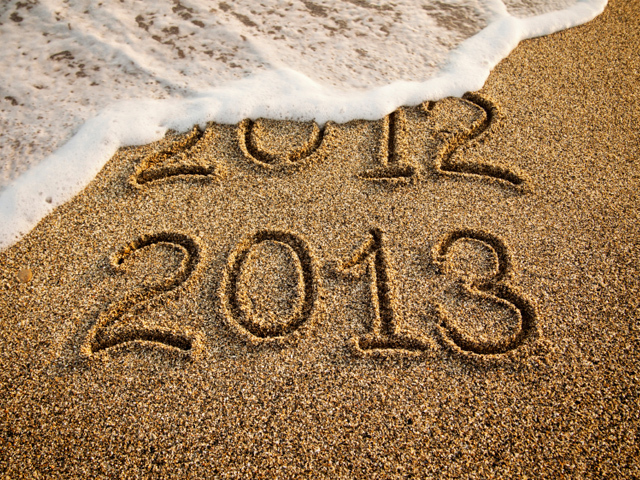 Need help calculating your estimated tax for 2012? Try the calculator on the Tools page of the H&R Block website. Self-employed folks can deduct their premiums for insurance and contributions to retirements accounts like a 401(k), says Clark. So pay up now, and you won't just invest in your health and wealth, but also lower your tax liability at the same time. Freelancers: Please share what you're doing now for your 2012 taxes in the comments section.